Earlier this year one of Mosman Public School’s young teachers named Tristan experienced heart problems and collapsed while on a school camp. His fellow teachers were able perform CPR and use our Heartsine Defibrillator which stabilised his heart until the ambulance officers arrived. As a result he is back at school today teaching all the bright eyed kids in his class. 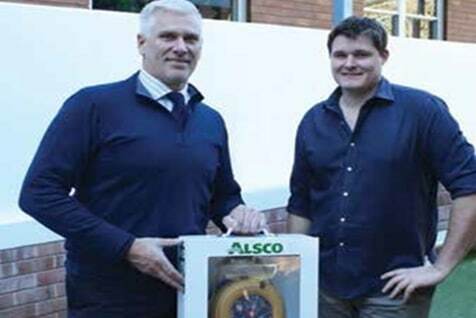 Heartsine, as the maker of our defibrillator, runs a program that enables Alsco First Aid to donate a defibrillator to an organisation of Tristan’s choice. Fresh & Clean Sydney were invited to make a presentation in front of the Mosman Public School assembly to hand.over the defibrillator to the school. As a result of the presentation the school’s P&C decided that the school should have another defibrillator so they could take it on school trips and provide the school community with better access to one of these lifesaving machines. We now have many machines out on hire and also have sold many as direct sales to the community saving lives on a regular basis. It’s our machines and our service that is helping improve access to this life saving device. You too could save lives. Ensure your workplaces have Heartsine Defibrillators installed and easy to access. Alsco services these AEDs regularly to make sure they are working properly, whenever needed. Get to know these AEDs better by calling an Alsco representative.